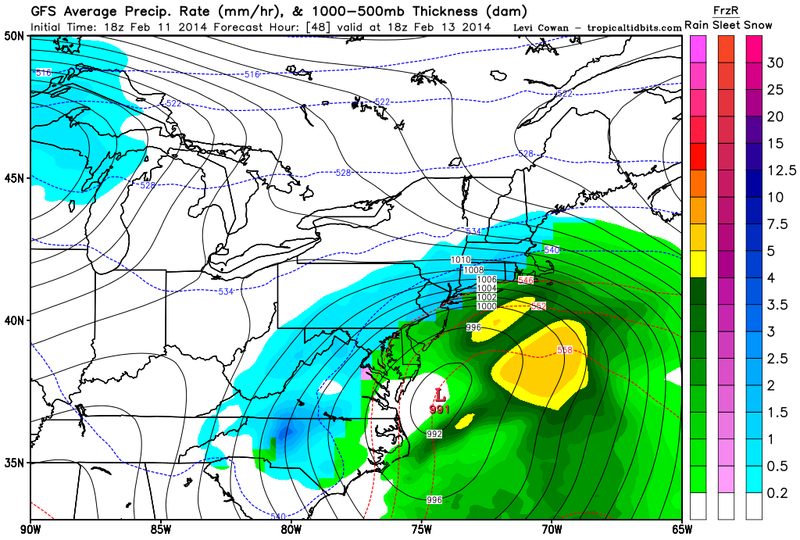 18z GFS “Sleet-Snow” Line Cause for Concern? The latest GFS forecast model (18z) hints that the snow-sleet line may make it as far west as southern Maryland and the Northern Neck of VA on Thursday morning. 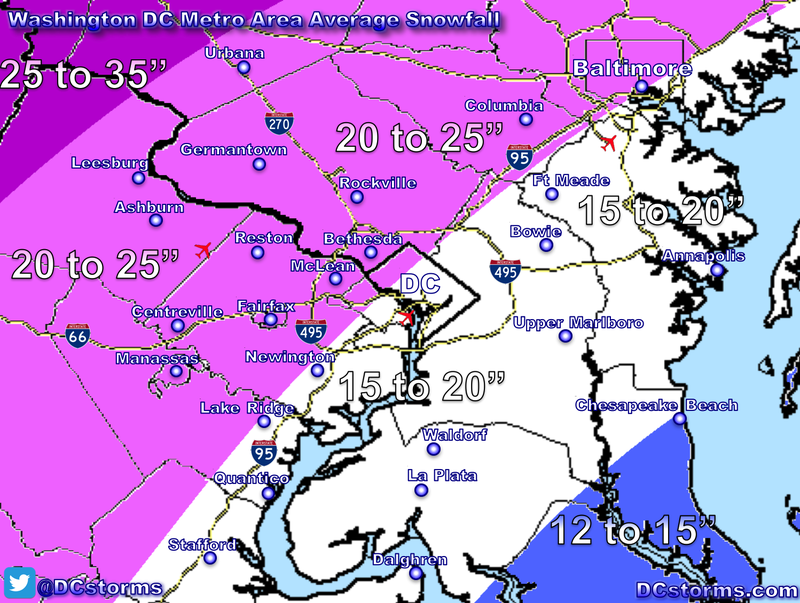 The entire National Capital Region will receive heavy snow with snowfall rates of 1 to 2 inches per hour on Wednesday night. 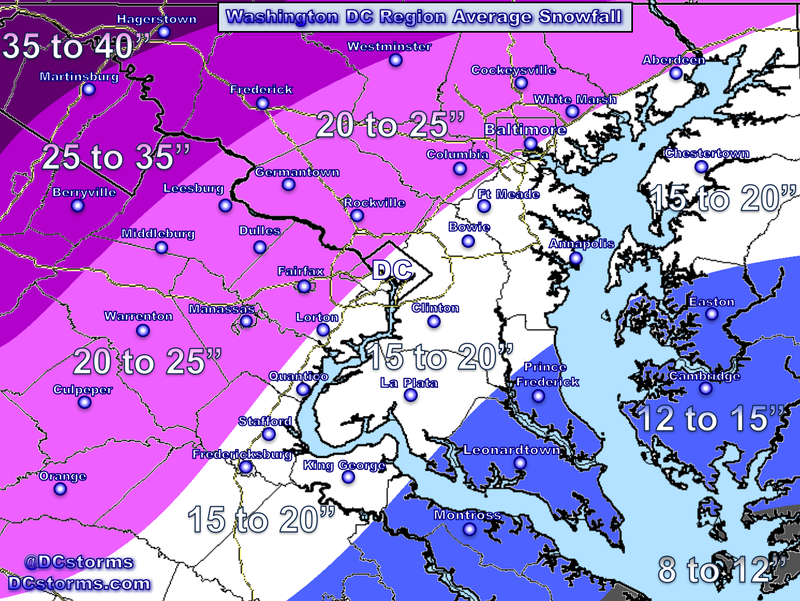 Even if the latest (18z) GFS is accurate and some sleet and or rain mixes in, I still believe that Winter Storm Warning criteria will be met across the entire Washington Region. To meet this criteria, five-inch snowfall totals must occur and I don’t see how this would be difficult to obtain across southern Maryland unless of course the models overnight swing well west in track. 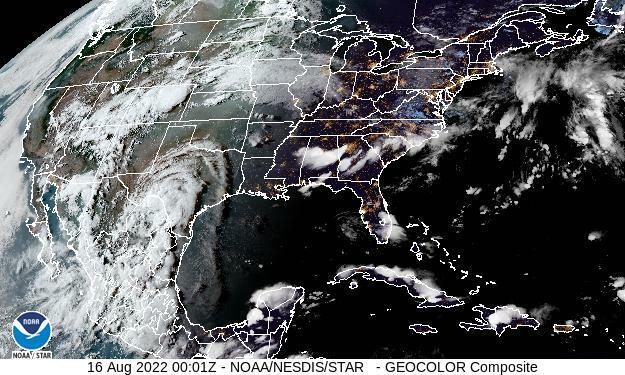 Nor’easters typically track along the warm gulf stream waters of the Atlantic versus a track right on top of the coastline. 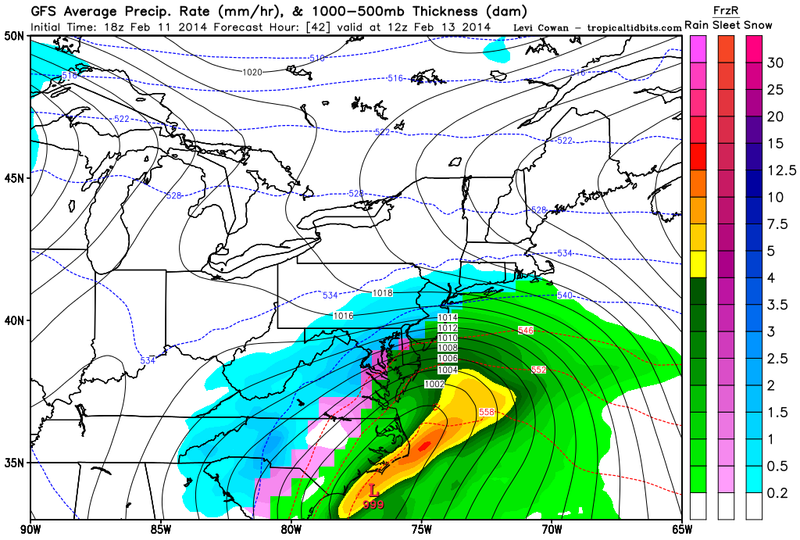 The latest GFS model suggests that by Noon on Thursday Rain or Sleet may mix in with the snow as far west as the Northern Neck of VA, Prince George’s, Calvert, Charles and St. Mary’s counties in MD. Enter your email address to receive Tim's latest updates.